In just three days on Tuesday, Southern Nevadans will descend upon Las Vegas Ballpark, Southern Nevada’s newest professional sports venue at the Las Vegas Aviators’ 2019 season opener. The Howard Hughes Corp. Las Vegas Ballpark opens on Tuesday, April 9 in Downtown Summerlin as the new home of the Las Vegas Aviators. The city’s oldest professional sports team and a member of the Pacific Coast League and affiliate of the Oakland Athletics, the Las Vegas Aviators is wholly owned by The Howard Hughes Corp., developer of Summerlin and its urban core, Downtown Summerlin. 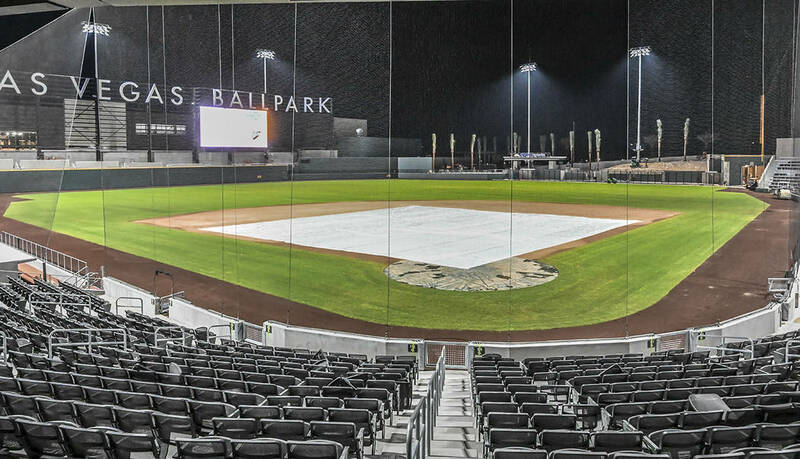 The team will play its first game as the Las Vegas Aviators to a sold-out capacity crowd of 10,000 expected for opening night at the new Ballpark. Located on 7.65 acres just south of City National Arena, practice facility of the National Hockey League’s Vegas Golden Knights, Las Vegas Ballpark is the second major sports facility in Downtown Summerlin, the urban core of the master-planned community on the western edge of the Las Vegas Valley. According to Kevin T. Orrock, president, Summerlin, what is happening in Downtown Summerlin on a micro-level is reflective of what’s happening in Las Vegas on a broader scale. “This day has been long coming and will be a true celebration for our entire community,” said Don Logan, president and COO, Las Vegas Aviators, who has been with the team since 1984. According to Orrock, Las Vegas Ballpark was designed to deliver a top-notch fan experience for guests of all ages. It includes special mesh seating to keep fans cool on hots days; it features an expanded offering of food and beverage options that includes the classics, as well as new options for the whole family; it offers great sight lines from every seat as well as mountain views to the west; and best of all, it’s easily accessed via the 215 Beltway. 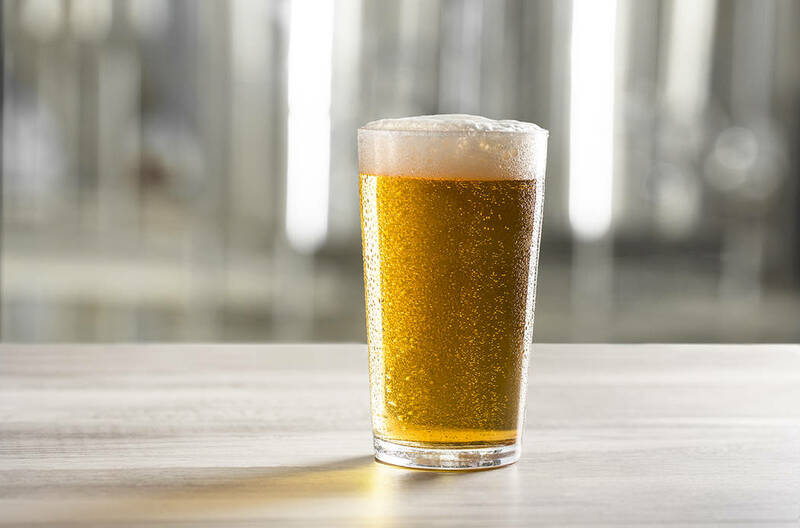 In addition to the unveiling of the Las Vegas Aviators’ new logo and team uniforms, The Howard Hughes Corp. has introduced the Las Vegas Ballpark’s new line-up of food and drink experiences. 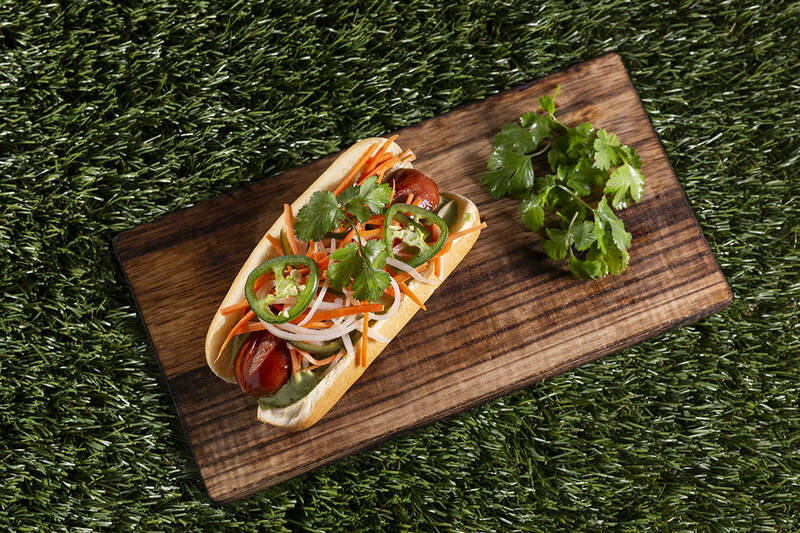 The menu is designed to elevate traditional ballpark classics and expand food and drink offerings with new options and flavors for the whole family. Showcasing an “only in Vegas” culinary approach that is unlike any other Triple-A baseball stadium in the country, Las Vegas Ballpark will offer many family-centric, Vegas-driven dining experiences, including Giada De Laurentiis, Italian-born American chef, author, and television personality, who will feature a variety of signature dishes, including her iconic Orzo Meatballs, gourmet Pizzettes and Italian salads with a Californian twist to all suite and club-level guests. 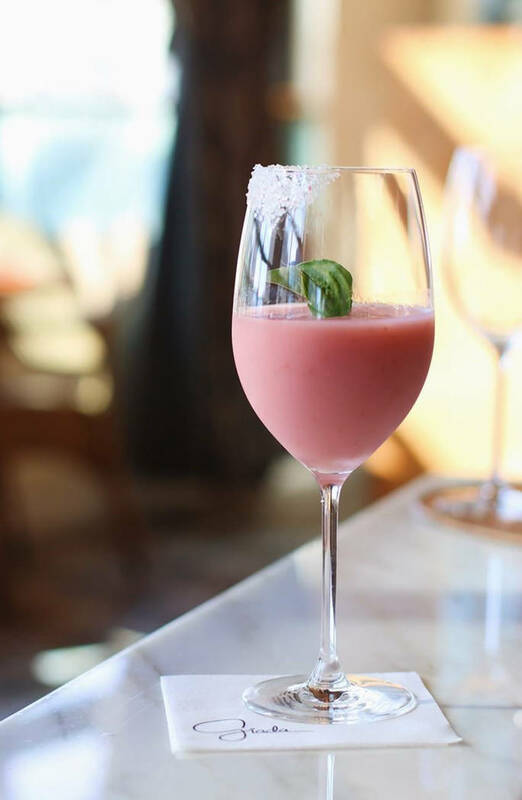 Her renowned Frosé is the official drink of the venue and will be served stadium-wide. Other notable offerings include a collection of specialty hot dogs called FLYDOG by Chef Brian Howard of Sparrow + Wolf; a signature custom handcrafted beer called Aviator Ale by popular local brewery – Tenaya Creek; all-American childhood classics by The Goodwich, including their best-selling Mac n’ Cheese to be featured at a “build your own mac” counter and Apple Pie A La Mode, served in a baseball helmet; craft cocktails by master mixologist Tony Abou-Ganim; and rounding out some of the local offerings are specialty sandwiches by Capriotti’s; dishes by Ferraro’s Italian; and Me Gusta Taco. Las Vegas Ballpark encompasses four levels: field, concourse, club and press. It features approximately 8,200 fixed seats and boasts a total capacity of 10,000. It includes 22 suites, 400 club-level seats and 350 party deck seats. Las Vegas Ballpark is the first team in sports history with a home ballpark boasting all seats made from breathable mesh and features 4Topps Premium Seating’s innovative AirFlow Mesh seats. It was designed by HOK, a national architecture firm with more than 40 major sports stadiums and arenas to its credit. Las Vegas Ballpark contractor is Hunt/Penta, which built the stadium in just over one year following its February 2018 groundbreaking. Las Vegas Ballpark, located on eight acres in Downtown Summerlin just south of City National Arena – practice facility for the Vegas Golden Knights, is the home of the Las Vegas Aviators, the city’s professional Triple-A baseball team of the Pacific Coast League (PCL) and affiliate of the Oakland Athletics. Las Vegas Ballpark provides a wide range of seating options including 22 suites, club seats, berm seating, party zones and decks, picnic tables, kids’ zone, bars and a pool beyond the outfield wall. Designed to create a festival-like atmosphere in Downtown Summerlin, the site is landscaped to complement the surrounding master-planned community. The site is easily accessed from all regions of the valley via the 215 Beltway. The Las Vegas Aviators have the proud distinction of being the longest enduring franchise in the history of professional sports in the state of Nevada. The 2019 campaign will mark the 37th season in the Silver State as a proud member of the Pacific Coast League and the inaugural season in the new Las Vegas Ballpark. The Stars (1983-2000)/51s (2001-18) have reached the 300,000 mark in “home” attendance in all 36 seasons previously at Cashman Field. The Aviators are also in their first season as the Triple-A affiliate of the Oakland Athletics, and the franchise won the PCL championship in 1986 and 1988.